Four illegal oil production facilities controlled by the terrorist group Daesh, also known as IS/Islamic State, have been destroyed by Russian fighter jets. "Russian air force jets destroyed four targets of illegal oil extraction, located to the northwest of Raqqa and controlled by Daesh militants," Russia's Defense Ministry said in a statement. 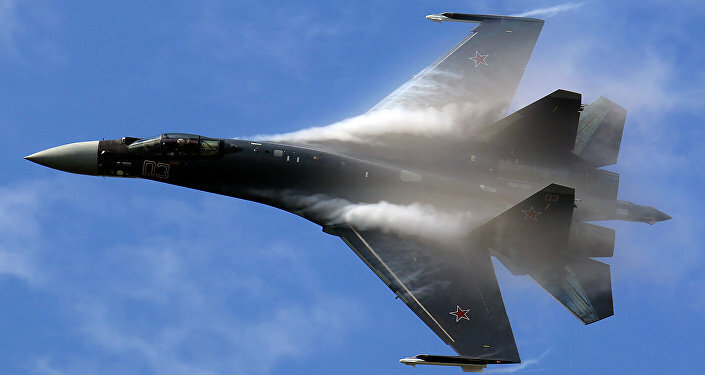 Russian Su-34s have carried out a series of airstrikes against terrorist oil operations in Syria throughout the week. On Wednesday, jets took out a facilities in al-Hasakah Province. Strikes were carried out on installations near Raqqa on Tuesday, as well. Raqqa is the self-proclaimed capital of Daesh, and believed to be a major waypoint for illegal oil making its way into Turkey.